Popularized by the likes of Jules Verne, Douglas Adams, and Arthur Clark, the science fiction genre has been gaining tremendous popularity since the second half of the twentieth century. 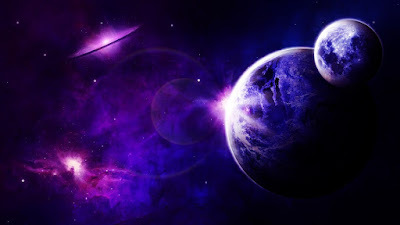 There’s something about our innate curiosity that makes us thrilled at the very mention of interplanetary space travel, or contact with an alien civilization, which are just some of the themes that the science fiction genre explores. Nowadays, post-apocalyptic Sci-Fi is also incredibly popular, such as Cormac McCarthy’s The Road or Willam R. Fortschen’s The Second After, and many more like them. Whatever your particular taste is, we’re sure that there’s some Sci-Fi book out there that’s going to appeal to you. We’ve put together a small list of some of the best Sci-Fi novels released lately, so if you’re feeling like reading some science fiction, you might want to check them out. The story of two childhood friends, an engineering genius named Lawrence trying to utilize his affinity towards technology to prevent a worldwide catastrophe, and Patricia, a graduate of a hidden academy of magicians that seeks to heal the world with her magic. Countless years later, mysterious circumstances will reunite Patricia and Lawrence so they can aid one another in a common interest – to stop their world from falling apart. Definitely, check out this title if you’re a fan of both the Sci-Fi and the classic fantasy genre, we guarantee that it’ll appeal to you. Morning Star is the final installment of Brown’s immersive revolutionary thriller trilogy including Red Rising and Golden Son. The trilogy follows the life of Darrow, a former slave who’s succeeded in infiltrating the ranks of the elite called the Golds, and now does all that he can in order to sabotage their society. In Morning Star his journey is coming to a close, and we finally get to see if he succeeds in utterly demolishing the aristocrats’ hold over his world. Brown has already gained a pretty impressive fan base with his first two novels, and Morning Star definitely lives up to the expectations his fans have managed to build up while waiting for the final installment. 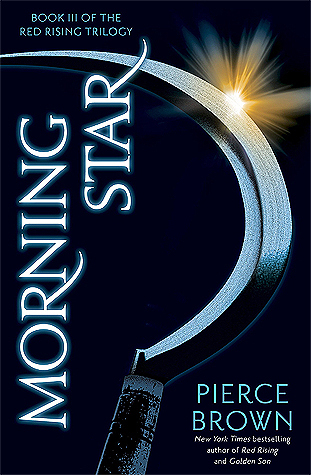 If futuristic dystopia is your cup of tea, Morning Star is a fantastic choice. In light of a massive immigration effort, more than two hundred thousand people are stuck at the foot of Central Station – a massive space station orbiting Earth, and the gateway to an advanced alien force that humanity has dubbed the Others. Thanks to this alien presence, humanity is evolving and changing at a rapid pace. Back on Earth, we’re given a glimpse into a small border town between Jaffa and Tel Aviv, where children are the subject of genetic engineering and drug dealers are turning themselves into cyborgs. 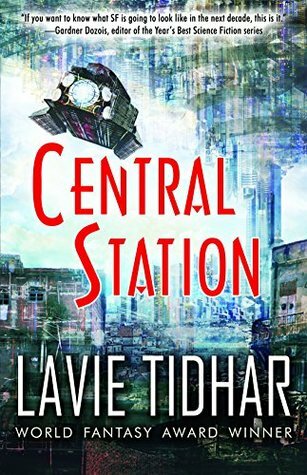 Tidhar does a marvelous job of depicting his vision of Earth’s future, and after a few pages, you’re completely immersed in his semi-dystopian, realistic version of Tel Aviv, many years from now. The novel itself is little more than multiple short stories that Tidhar has been releasing throughout the years, although very carefully selected and interwoven to create a whole greater than the sum of its parts. If you’re partial to apocalyptic, dystopian Sci-Fi, you should definitely give this one a read. 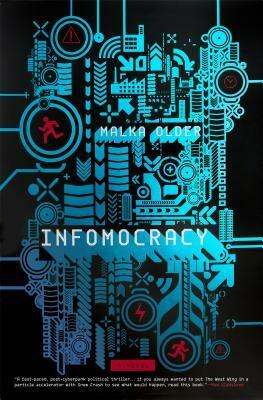 Infomocracy depicts a futuristic world in which the entire world’s population is broken down and divided into centenals - groups of 100,000 people that each have the right to vote for any one of the given worldly governments that they wish to be supervised by. The governments are diverse, ranging from Liberty, a policy-based democratic group to Phillip Morris, a capitalistic corporation-dominated government. Information, a globally active association is tasked with policing the elections and ensuring that the governments go through with all of their election promises. One day a researcher for one of the governments is lead to a conspiracy and discovers that the elections are indeed rigged; after which he teams up with a special agent from Information in order to unearth the truth while trying to escape the wrath of the governments themselves and get the truth out to the people. 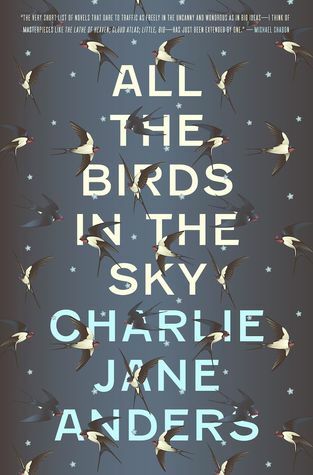 What’s so impressive about this novel is that Older managed to depict a future that indeed seems entirely plausible, and gives a really realistic outlook as to how our society could begin to evolve in the years to come. This novel is actually a follow-up to one of Arthur Clark’s classics from 1971, titled A Meeting With Medusa. 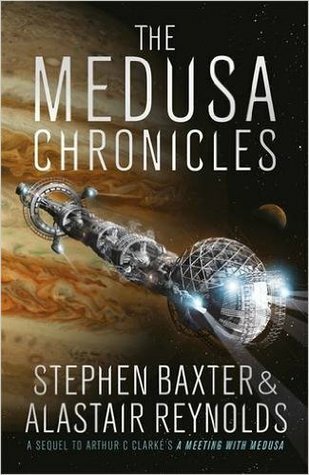 The Medusa Chronicles takes us back to the story of Howard Falcon, whose body was preserved thanks to technology after sustaining a grievous injury on his mission to Jupiter. He is now half man, half machine, enhanced and sustained by cybernetics and prosthetics. Meanwhile, the solar system has been going through quite a few changes. Super-intelligent primates declare their independence, and machines have become capable of sentient thought, however, bureaucracy and politics still plague humanity as a whole as if nothing had changed. As the protagonist, Falcon is plunged right into the middle of events concerning the entire world, and his actions and decisions will have an impact on the crisis grasping the very solar system. An impressive pick-up of one of the most brilliant Sci-Fi novels in history, and if you liked the original we guarantee that The Medusa Chronicles will not disappoint. Hopefully, we’ve managed to spark your interest with one of these titles, as well as inspired you to actually give one of them a shot. There are countless amazing Sci-Fi titles out there and more are being released every month, so you don’t have to worry about running out of reading material any time soon. There’s not much left to say, except that we truly hope you’ll enjoy our suggestions. 2016 was a terrific year for Sci-Fi, and it’s still not too late for some last-minute binge-reading before the new year. Adam Ferraresi is 23 years old, but he first became interested in writing when he was in high school. Today he’s a successful web developer living in Dallas, Texas, and one of the most trusted writers at wefollowtech.com and The VPN Lab. In his free time, he’s an avid mountain climber and enjoys playing basketball with his friends. Thanks Adam. I don't read any sci-fy but two of the books on your list look very interesting. It may just be time to try a new genre! I really liked The Water Knife. I read it for my post-apocalyptic book club and it was a great discussion.